One of the most prominent law schools in the country, USC Law offers an interdisciplinary legal education guided by nationally renowned professors and informed by the diversity of a friendly, smart and collegial student body. Located in one of the largest and most dynamic cities in the world, the school offers myriad opportunities to apply the law to real-world problems through partnerships with some of the world's leading companies and law firms. Through rigorous academic training and practical application of skills, students acquire the experience necessary to succeed as leaders in a global environment. Our location in Los Angeles offers unique opportunities for learning, living and working. Los Angeles is one of the world's great cities. It is the heart of the entertainment industry, the second largest legal market in the country, and de facto capital of the Pacific Rim. Our location in downtown Los Angeles allows our students to learn with those who are shaping the global future. Many students come to USC’s Gould School of Law for “the weather,” but all end up “staying for the professors” and “friendly student body.” The faculty here is highly praised as being “very approachable” as well as “brilliant and engaging.” “[They’re] some of the brightest professors I’ve ever had,” says a 2L. “They strike the right balance between learning the material and making sure we stay interested and involved through­out the course.” This enthusiasm extends even to those unhappy with their studies. “I hate law school, but I adore USC,” says a 3L. “USC has made what could have been an absolutely nightmarish three years into a tolerable and occasionally even fun experience. Our students are brilliant, funny, and strange. Our professors are either unapologetically academic or real, live working attorneys with loads of hilarious horror stories and practi­cal advice...When you join USC, you join it forever. That’s a good thing. Everyone is miserable in law school, but at least here, you can be miserable together.” Students admit that while “there may be the typical ‘red tape’” when dealing with the administration, the school “wants everyone to succeed” and offers “many resources to help students along.” “The administration is very impressive and accessible,” says a 1L. “They are sup­portive of students making the transition to law school.” Some find that while being “very organized,” the administration can “often treat students like they’re children,” but overall, if students are willing to “ask for help,” the “school administration takes [their] concerns very seriously.”Most professors are “very influenced by the Law and Economics movement,” meaning that “there aren’t many alternative theoretical perspectives presented convincingly, but they are very good at what they do.” Some students would like to see “more emphasis on teaching practical skills in the practical skills courses,” as well as “higher-quality professors for some of the big, basic bar classes.” Others wouldn’t mind more “criminal law” courses. “Also, there is too much focus on firm practice, with much less attention given to students who aren’t interested in working for a large firm.” The issue of Big Firm versus Public Interest careers is a contentious one at USC Law—many feel that the school “puts too much of a focus on entering the big firm marketplace,” while another majority feels that the school “encourages students to go into public interest.” “I know more people who are going into public interest and governmental positions than working in big law firms,” says a 3L.It’s no secret that jobs can be scarce in the current economic climate; however, students find that “the location and reputation of the school are an invaluable asset” when job hunting. That said, many students aren’t so impressed with the Career Services depart­ment. As one 2L explains, “I’m not 100 percent sold on the effectiveness of the Career Center—it feels like our awesome alumni connections makes them complacent.” On the upside, the office “keeps a constant supply of coffee and hot chocolate,” and at least one student says the “career service people played an essential role in my employment.”Despite being located on a “beautiful campus,” the law building is “outdated” and “unimpressive.” “Most of the classrooms are less than aesthetically inspiring, and are, at times, technologically awkward (as in, plugging in your laptop into the sockets under the tops of desks can bring you dangerously close to violating your neighbor’s very per­sonal space),” explains a 1L. Fortunately, students can find a more pleasant atmosphere and some nice places to eat at the brand new Tutor Campus Center, located just a stone’s throw from the law school. Plus, students are hopeful that a new building is on the way. “Meetings have already been held with students regarding elements they want to see, and plenty of windows and a ‘less sucky’ wireless Internet have been promised,” says a 2L. There’s more good news: USC now has a metro stop, so students can ride the light rail to campus. JD/MBA, 3 1/2 to 4 years; JD/MPA, 4 years; JD/Ph.D. in Economics, 5 years; JD/MA in Economics, 4 years; JD/MA in International Relations, 4 years; JD/MA in Communications Management, 4 years; JD/MA in Philosophy, 4 years; JD/MSW, 4 years; JD/Master of Real Estate Development, 3 1/2 to 4 years; JD/Masters of Business Taxation, 3 1/2 to 4 years; JD/MS in Gerontology, 4 years; JD/MPP, 4 years; JD/PHD in Social Science with California Institute of Technology, 5 years; JD/MA in Political Science, 4 years; JD/PHD in Political Science, 5 years. 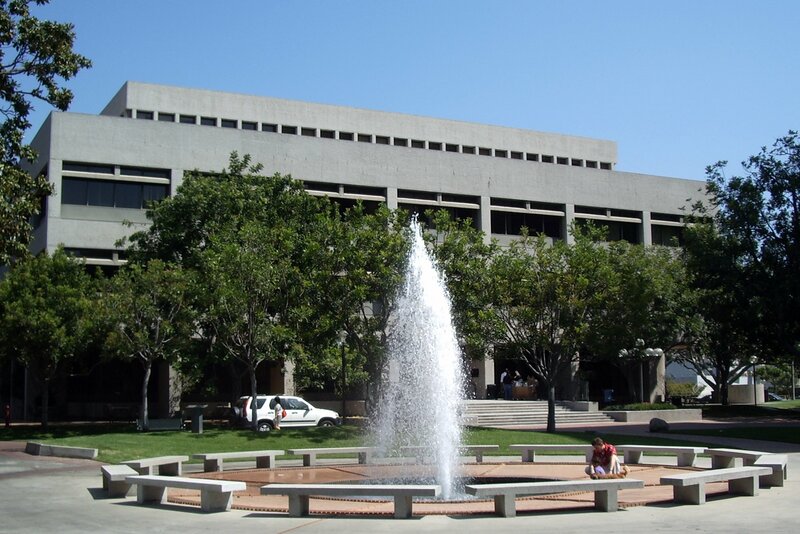 Want more info about University of Southern California, Gould School of Law? Get free advice from education experts and Noodle community members.